Custom XS1100 by Nathan A. The creativity of our customers never ceases to amaze us and it takes center stage on this custom build by Nathan A. Thanks Mikes XS for having the parts I needed to build this machine! No problemo, Nathan! That’s why we do what we do! If YOU are looking for parts for your XS1100 build, look no further. Click HERE to shop XS1100 parts now. feel free to follow Mikes XS on FACEBOOK and INSTAGRAM for daily posts. 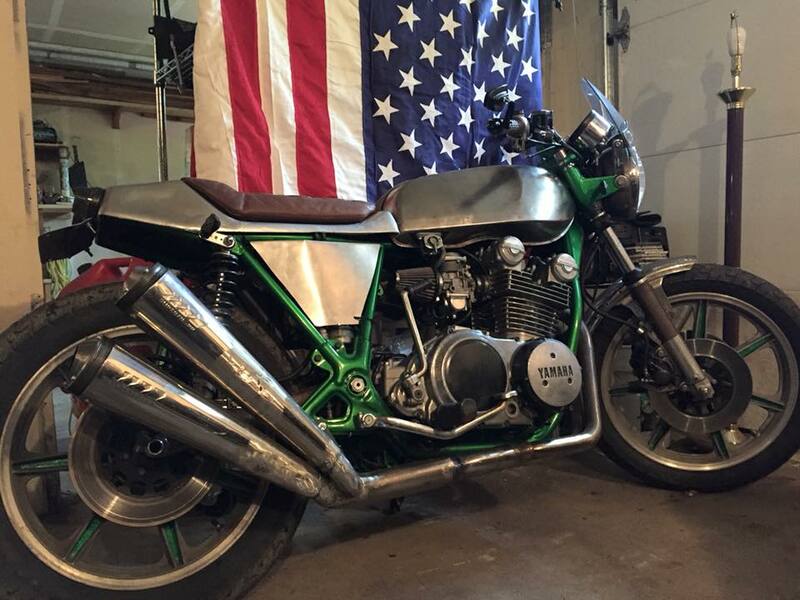 Posted in Customer Bikes and tagged america, bike, bobber, built not bought, cafe racer, chopper, cruiser, custom motorcycle, diy, mikes xs, scrambler, tracker, vintage yamaha motorcycles, xs1100, yamaha, yamaha motors, yamaha racing, yamaha xs. Bookmark the permalink.